As you plan and pack for your family vacation, you go through a lot of effort so that your whole clan will enjoy their trip. 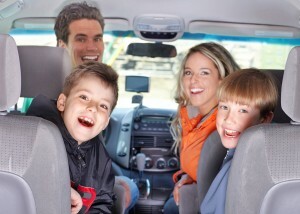 By the time you reach your destination you’re all looking forward to enjoying a little extra quality time. Even still, you want to be certain that your children are safe at all times, especially if they are young. As a parent, it’s reassuring to know that when you’re staying at a Delsuites furnished apartment in Toronto, your family will be in an environment that’s as safe as your own home. With a few simple adjustments such as cabinet latches, edge guards for tables and outlet safety covers, your fully-furnished suite can instantly be transformed to fit your family’s needs. When you’re speaking with the Guest Service Team, it’s important to let them know what child-friendly items you may need during your stay. Right from the beginning of your stay, your complimentary airport pick up will be equipped with comfortable CSA-approved child car seats, making your journey a safe and comfortable ride for everyone. For infant bedtime, cribs and rocking chairs will help parents transition their babies into a new environment while bed rails and water-proof mattress help to ensure that toddlers and older children are sleeping safe and sound. Child-friendly step stools offer your little one the independence they need to brush their teeth and wash their face at bedtime and in the morning. Among the other family-friendly services, a professional child minder can also be scheduled should you need in suite child care. On arrival, each child also receives an age appropriate welcoming gift, a simple touch that offers parents the assurance that you’ve chosen the right home away from home for your family vacation.